ProRacing Chip Box OBD2 It became the bestselling product of ProRacing company and revolutionized the global chip tuning market. ProRacing Chip Box CR-10 MAP is a modern digital device equipped with 10 MAP - 10 programs, connected in the engine compartment. Designed for cars with diesel engines with Common Rail injection system. ProRacing Chip Box CR-Led is a technologically advanced device programmed to work with diesel engines with the Common Rail injection system. ProRacing Chip Box Digital CR1 is a modern digital device connected in the engine compartment, designed for cars with diesel engines with Common Rail injection systems. ProRacing Chip Box Digital CS2 is a modern digital device connected in the engine compartment, designed for cars with gasoline engines (also with LPG systems) and some diesel engines. 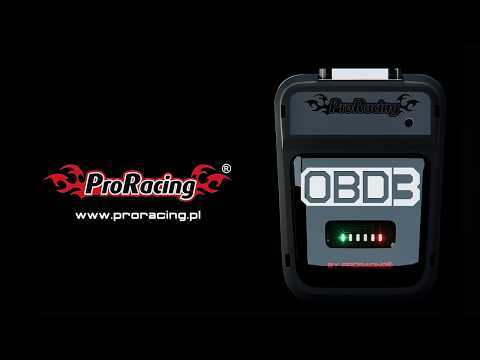 ProRacing Chip Box OBD3 is an improved product of the ProRacing ChipBox OBD series, which has revolutionised the world market of car chip tuning. ProRacing® company is a designer and manufacturer of the highest quality ProRacing Tuning Chip Box. ProRacing® is more than ten years of experience in the production and distribution of Tuning Chip Box products. We are experts in our field, and chip tuning is our passion. Our device and manufacturing processes meet the highest standards of International Association of Manufacturers and the Electronic Industries (IPC). It also meets the European and international production standards. Thanks to IPC certification ProRacing has the guarantee of highest quality of products and services in the electronics industry.